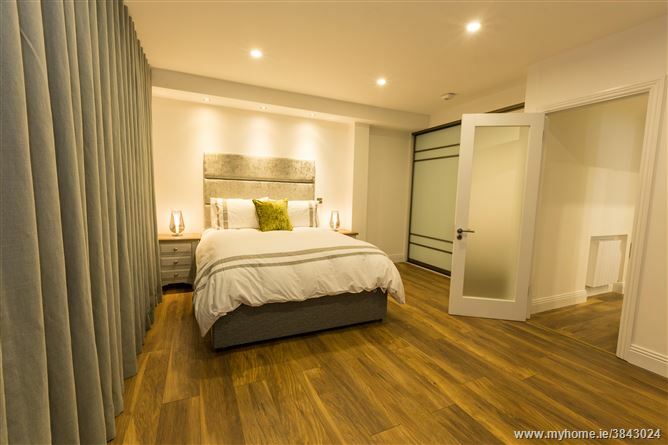 - SHORT TERM LET - Stunningly elegant, newly renovated one bed apartment available for letting. Located in the exclusive gated 'Shrewsbury' Development overlooking manicured landscaped gardens with water features creates a wonderful peaceful and tranquil setting. The accommodation consists of own door entrance with storage area on the left. Tastefully decorated light-filled living area which opens onto the south-facing patio guaranteed to get natural sunlight for most of the day. Open fireplace. Fully integrated kitchen off the living area with all necessary appliances. Main Bathroom with wet room, heated towel rail, recessed lighting, tiled floor. 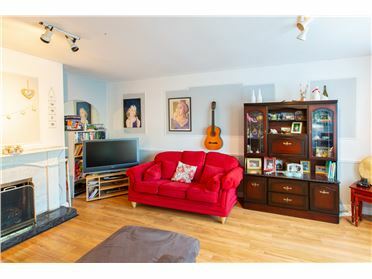 Extremely generous double bedroom (this was originally a two bed but was converted to a one bed to maximise space). Built-in wardrobes. Separate press which houses the washing machine and dryer. New triple glazed windows and fully GSM controlled electric heating throughout the apartment is guaranteed to ensure consistent warmth throughout the cold winter months. Underfloor heating in the bathroom. 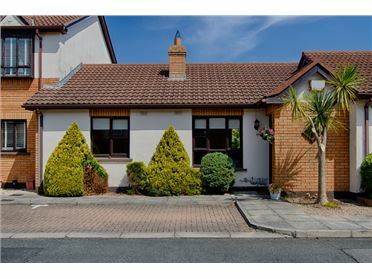 Superbly positioned off Shrewsbury Park within strolling distance of the Merrion Shopping Centre and in close proximity to the villages of Ballsbridge and Sandymount which offer a huge choice of renowned restaurants, hotels, bars, cafes and shopping outlets. 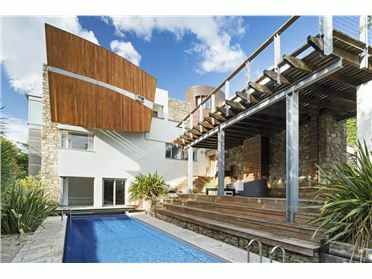 The property is served with excellent transport links with the Sydney Parade DART station closeby. The city centre is within a 10-minute drive and there are a number of bus routes a short distance from the property that travel directly to the centre. Herbert Park, the RDS and the Aviva Stadium are all on your doorstep. 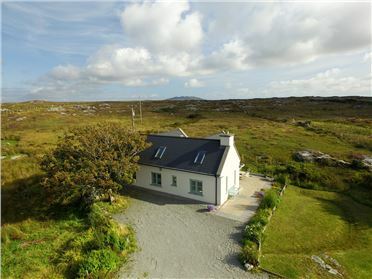 An excellent choice of schools and colleges are within walking distance which include St. Michael's, the Teresian school, Muckross, St. Conleth's and UCD. Ample communal parking. Fully alarmed. As the majority of Dublin's embassies and diplomatic residences are located on Ailsbury Road in close proximity to Shrewsbury this property would be ideal for a corporate let or for a couple who are visiting Dublin for a short stay.